Knowledge Ecology International Europe (KEI Europe) is a non-profit organization based in Geneva, Switzerland, which focuses on the management of knowledge, including innovation and access to knowledge goods. Seventeen civil society groups, including KEI Europe, submitted a letter to the EU urging they voice support for a resolution on a feasibility study concerning delinkage models for cancer treatment R&D at the upcoming 70th World Health Assembly. KEI Europe, in conjunction with several allied organizations, submitted a request request that the UK exercise Crown Use in order to make a critical breast cancer treatment affordable and available in the UK. 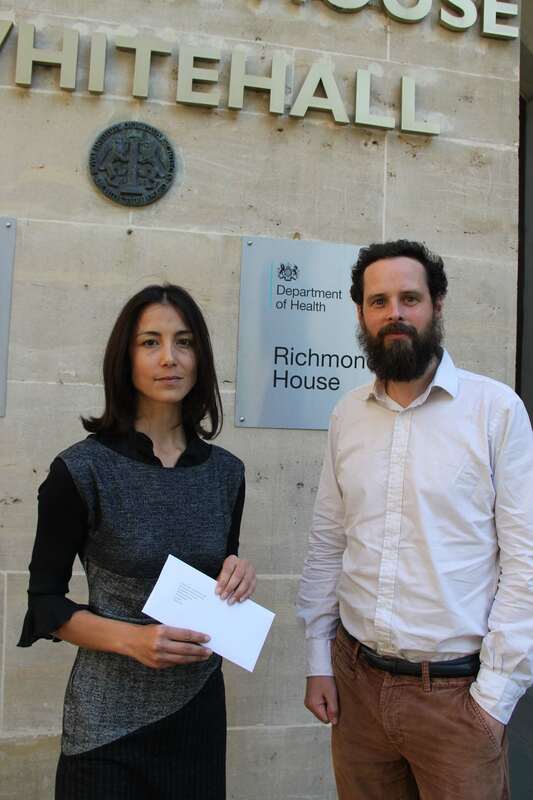 Below, Susannah Markandya and Diarmaid McDonald deliver the letter to the office of the Secretary of State for Health in London.